There Be Monsters!...Somewhere in Highland Park, Ca. The Bike Oven and Flying Pigeon LA, two great bike shops that neighbor each other in Highland Park, will be hosting a group art exhibition entitled "Monsters on Bikes!". The show opens Saturday, November 14th from 6 PM - midnight and runs until December 10th. The show's opening coincides with the monthly Spoke(n) Art ride, a bicycle tour of the area's art galleries that leaves from York & Figueroa streets at 6:30. The ride returns to The Bike Oven around 9:30 to join the party. A portion of the proceeds from the show will benefit The Bike Oven and The Bicycle Tree. The Bike Oven has been an inspiration for The Bicycle Tree. They have been helping the good people of Highland Park learn how to fix their bikes for years! If you live in LA County, and Orange County, especially, but in neighboring counties, as well, you might find this an interesting even to check out. Monsters on Bikes now has a Website, with 4 blog posts so far. The 1st entry talks about the dispaying, and selling of art at the event (Submissions were no long accepted as of Halloween. The 3rd entry talks about the show, and Opening Night, and provides a link to a Flickr page with a preview of artwork that is thought-provoking, very cool, and very funny. It also provides links to the websites of all the participating artists. The most recent entry is an image of the event poster, which incorporates the cool image on the header of the blog itself. The Spoke(n) Art bicycle ride is a free, once-a-month, bicycle tour of art galleries in North East Los Angeles. The ride takes place on the second Saturday of each month - a special night in North East Los Angeles. Area art galleries open their doors late into the night as part of NELAart's "Gallery Night". The Bike Oven Shop has had a Blog since Aug. 2007? Cool! I'll be adding them to the Blogroll, and checking them out! The Bike Oven is a volunteer-run bicycle repair collective that started in a single car garage on Avenue 42 in Highland Park. The Bike Oven endeavors to serve the community and improve the quality of urban life by promoting and facilitating, through culture change, the use of bicycling as an alternative to the non-sustainable and climate damaging fossil-fuel powered motor vehicle transportation system. Flying Pigeon LA is a company, started by two brothers, located in the Highland Park neighborhood of Los Angeles. Flying Pigeon LA sells, maintains and evangelizes the Flying Pigeon brand bicycle (A famous bike brand in China) in Los Angeles. The About Page has a lot of links about this very inexpensive bike, and a cool video. 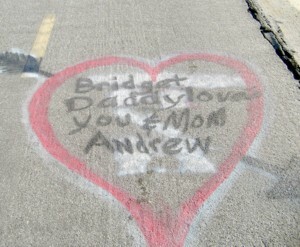 The Blog has been up since July 2008 and, like Bike Oven, I'll be adding it to the Blogroll, and checking it out! 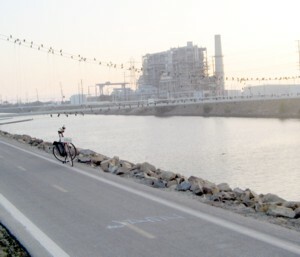 Last month the city of Seal Beach got some much needed financial help, from the San Gabriel and Lower Los Angeles Rivers and Mountains Conservancy, in its effort to raise funds for a project along its stretch of the San Gabriel River Bicycle Trail. 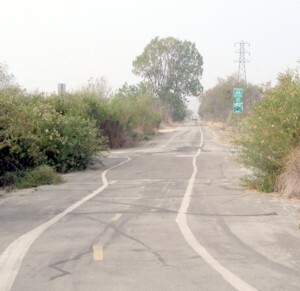 The city is hoping to renovate the area where the San Gabriel River meets the ocean near First Street, along with about three miles of trails, after receiving a $1.5 million grant. The First Street area is frequented by surfers, bikers, hikers and diners to the suitably-named Rivers End Restaurant. 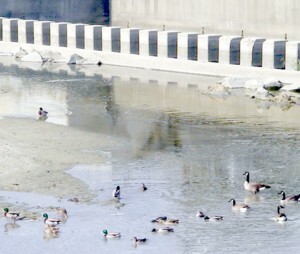 The city will find out in the spring if they will receive the money from state grants, said David Spitz, associate engineer in the Seal Beach Public Works Department. "It's great news that we got the grant," Spitz said. "But right now, we're waiting to see if we can get additional money to see how extensive our project is going to be. It's going to be a great project either way though." Work would not begin until Summer 2009 at the earliest. A Tip of the Hat to Jorge Barrientos, of the Orange County Register for first reporting this news. Continuing my journey (Late comers can saddle up here!) 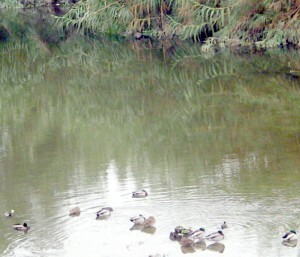 along one of the three great rivers of Southern California I find myself, around mid-afternoon, passing properties with Horses before coming to Iron-wood Golf Course, in Cerritos, where I saw some kids playing in the river. Around 30 miles I notice a long forgotten piece of history. For a short distance the Bike Trail actually ran in the river channel for some reason. A bit later I DID find one mysterious bit of graffiti worth sharing. I pass Liberty, then Raymond parks, 2 huge stretches of parkland, along Studebaker Rd. 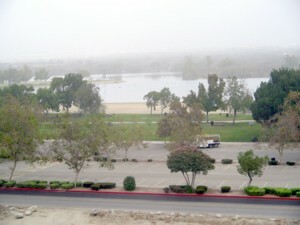 in Cerritos and Lakewood, that have walking and horse trails, and are also bike accessable from the river trail. A bit later I have my last look at beautiful Horses, at the Lakewood Equestrian Center before heading into the home stretch. When I stopped and yelled out a hearty "Hi gang! ", the group in the back turned in interest to walk toward the fence. That dark chap in the upper right, however, turned around, looked at me, then looked at the others and that was that. After 33 miles, just after saying good-bye to the Horses, I come to the only blemish in an otherwise smooth journey. It was at the Carson Blvd. underpass, except that there is no underpass. Well, there is, but the pavement is gone, as is the pavement for the next mile of trail. There is work being done and there are signs advising trail users not to proceed and guiding users on a short detour that totals about a mile. As I stood there taking this in I see a cyclist walk his bike under the underpass, as well as a lady walking her dog do the same. They came out the other side and proceeded to the alternate trail. Spread out, in pairs, every few feet on light posts, these signs guide people in both directions on how to get from one side of the underpass to the other, and back on the trail. Southbound users are led a short distance east to the crosswalk at nearby Long Beach Towne Center. I cross the street and am led west, back over the river to a 1 mile stretch of pavement heading south that is normally inaccessable to traffic. All is well and good until I reach the end, at Wardlow Rd. There are no more Orange signs! 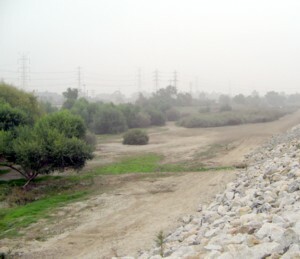 Looking east I see that the regular trail runs parallel to El Dorado Regional Park, in Long Beach, a massive park accessable from the trail, with trails, 2 golf courses and a nature preserve, that straddles both sides of the river. I finally figure out that I have to ride on the sidewalk east a short distance, to an exit from the park, walk by bike a few yards to the 2 lane road in the park, then ride back west to the trail at the Wardlow underpass, where I can re-enter the trail south. Northbound riders are left to fend for themselves in figuring out where to go next as there are no orange signs to guide them. I spent a few minutes chatting about the trail with a father who had his toddler son in a child seat on the back of his bike, gave him one of my cards, and continued on my merry way. Safely back on track I ride for a while with the park on my left then, after passing Spring St., on both sides of the river, before having the park only on the west side of the river for a while, from Willow St. to where the trail meets Coyote Creek. 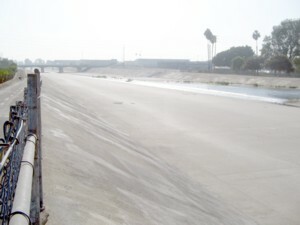 At 37 miles the San Gabriel River meets Coyote Creek. 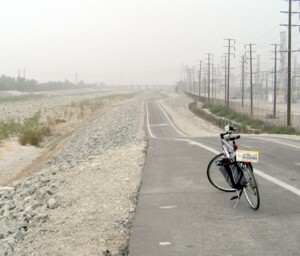 Coyote Creek has its own bike trail that heads up river for miles almost into Whittier. Mother Nature reminds me that Man doesn't always completely take over her space. The water level picks up as I head into the last 2 1/2 miles. I pass marinas on the west side of the river and suddenly notice that spectators have begun to gather. Or are they scavengers just waiting for me to drop in my tracks so they can divide the spoils? 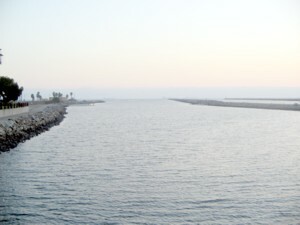 The trail officially ends at Marina Dr., in Long Beach, with the island community of Naples to the west, and Seal Beach to the east. 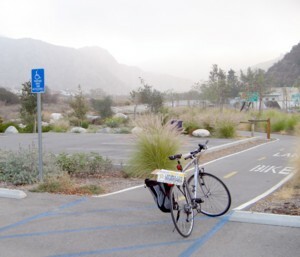 It is 530pm and my ride was 40.85 miles, from the start, at the new trail head, to Marina (Add the extra mile from the Azusa Parking Lot to the new trail head, if you ride it.). And yet...it doesn't quite end there. As you can see you can cross the street and enter a paved trail the last short distance to the shores of the great Pacific itself, at the famous River's End Cafe (M/Tu. 7am-245pm, W-Sun. 7am-8pm. Check out the pictures on the website!). 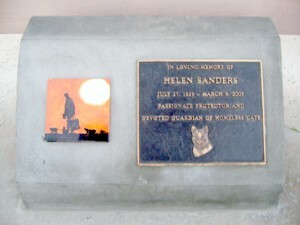 Passionate protector and devoted guardian of homeless Cats. Now comes the time to reward myself for my accomplishment and find some grub before heading home. If the River's End Cafe is closed you have to head elsewhere. I exit the huge parking lot onto 1st street, then head immediately east on Ocean Ave., almost a mile, into quaint old towne Seal Beach and its famous Main St. and Pier. 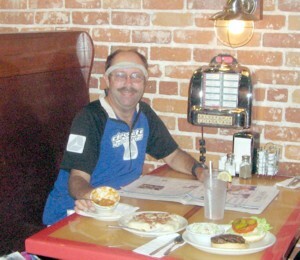 I ordered the following: A Woody's Hamburger w/coleslaw, a plate of Biscuits and Gravy, and a Cup of Homemade Chile, all washed down by 3 glasses of lemon flavored water. My waitress, Nicole, was appropriately impressed by my adventure this day, and was a very good sport for taking my picture. For people in Orange County, using the OCTA to get to Puente Hills Mall in LA County is simple. Many busses will connect you with either the 29 or 43 and they will take you to La Habra Blvd. and Beach Blvd., connecting you with the Foothill Transit 285. At the Mall you transfer to Foothill Transit 280, and ride it to the end, at Sierra Madre Ave. and San Gabriel Ave.
For people in LA County, from El Monte to Claremont, or even in Montclair in San Bernardino County, there are several Foothill Transit busses you can take to connect with the Northbound 280. For people west of El Monte some can take MTA busses to El Monte Station to connect with Foothill busses that will connect with the Northbound 280. In Seal Beach cyclists from LA County, west of El Monte, can catch 1 of 2 Long Beach Transit busses at Electric and Main. #131 will take you to its end at, Wardlow Station, to connect with the Blue Line Train. #171 will drop you off at PCH Station where you can catch the Blue Line. On PCH (Pacific Coast Highway), OC cyclists can catch the OCTA 1 to start or, like the rest of us, start with the OCTA 42/42A. This bus begins its route on the north side of PCH, a block east of Main, near Balboa. This bus connects with the 29 and 43, for those going back to LA County, and to many other busses for OC residents. Thus ends the first of a series of reports I plan, in coming weeks, into the new year, that will explore the various Bike Trails along the rivers. Continuing my journey (Late comers can saddle up here!) 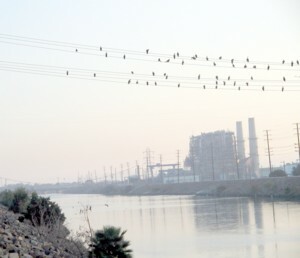 along one of the three great rivers of Southern California I find myself now confronted with a scene of pure, un-bridled, joy, and I scramble for my camera in the hopes of catching it. 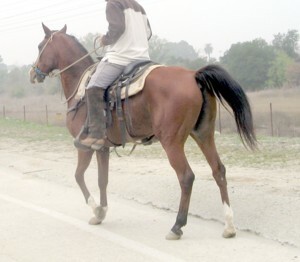 At the 18 mile mark I witness a horseback rider and a companion. This brown beauty had been prancing about in, and lapping up, water a short distance south of this picture. The horse was so deeply involved in its ecstatic play that the rider got a distance ahead, leading the horse to reluctantly move on (I could tell by the way the horse paused, looked toward the rider, then took one more, quick, playful romp before catching up, that it WAS reluctant.). It is here that I enter, briefly, the trail system around Legg Lake, at Whittier Narrows, at the border with Pico Rivera. Following the signs I turn right, then an almost immediate left (That's the Left, at the sign.). 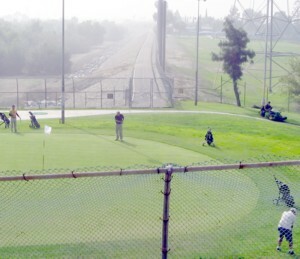 The trail heads above, down, around and past a corner of the Pico Rivera Golf Course. At 19 miles the trail briefly returns to the street as I turn left onto a narrow path across the river and re-enter the trail on the east side. Soon I have a flowing river on my right and a railroad track on my left. 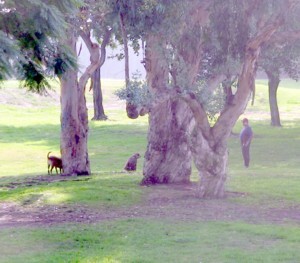 From the sound of the conversation, amongst the crowd, I could swear that one of the critters was barking like a Dog! In the next few miles the river runs dry again, only supporting trees on the side of the river closest to the trail. Finally, at 23 miles, Mother Nature appears to pretty much give up the ghost, saying “I surrender!” and the railroad is replaced by a freeway. But, has Mother Nature truly given up the fight? Is there nothing left for her but to surrender to the whims of Man? I continued on my journey. I know that the trail is heading back into civilization not just because of the lack of nature, but because of the graffiti, covered, and uncovered, that is beginning to appear beneath my wheels. A little further on I learn that Mother Nature still has a little fight in her as a few Squirrels cross the trail heading into the river and a few trees return. 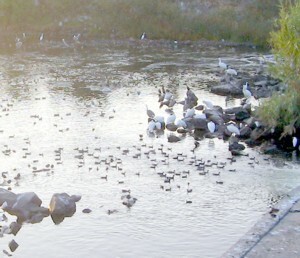 I even pass Wilderness Park, in Downey, where a pond with Ducks and Geese can be seen. Yes, the signs of Suburbia are all around me. Continuing my journey (Late comers can saddle up here!) 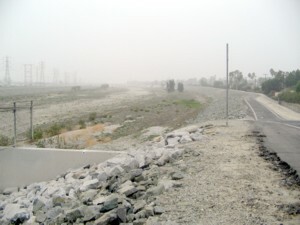 along one of the three great rivers of Southern California I find myself now on the west side of the river and the rollies have returned, for a while, as I leave Irwindale behind. As I came out from under an underpass, with a big dip leading down under it, I found my way blocked by bikes! Imagine a whole herd of spandex clad club riders, racing hell-bent for the beach, at 25 mph (I was doing about 15 myself.) coming upon this unexpected scene! On the side of the trail were 2 disheveled white guys, in their mid-fifties, with beer cans in their hands, staring drunkenly at the fence separating the trail from private property. I stopped and, um, politely told them to move their bikes out of the way because, if a crowd came through, the result might not be very pretty. As I pedaled away they went to move their bikes and when they saw me take the picture they were spooked enough to get on them and ride away. They both passed me when I stopped again a couple of miles down the trail (One guy asked me how much my bike was as he passed, the other yelled “BOO!!”). 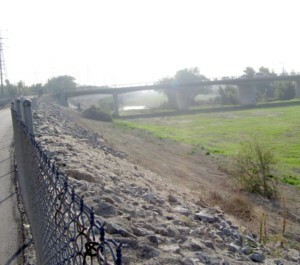 The landscape finally begins to change, with less vegetation in the river. As I pass the 12 mile mark, around 11am, I pass three African-American ladies out for a mid-morning stroll. Actually, due to my stops along the trail, this was our third meeting (Sing along… I pass you, you pass me!). At 14 ½ miles I’m well into El Monte and several schools form the view, on my right, including the sports field of Monte Vista High School. A little further on I find a Horse Trail is running next to the path for a while, and when I saw a hole in the fence, after passing a rider, I saw my chance for a nice photo. The horseback riders I saw, on my journey, were all Hispanic. Did they own the horses, or were they hired hands performing exercise duty? I don’t know. 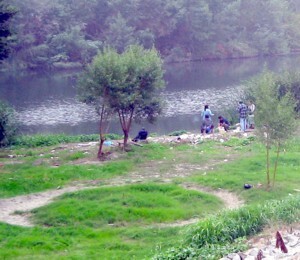 After 15 ½ miles the vegetation in the river took on a new and crowded appearance. Lush trees and shrubs are everywhere. 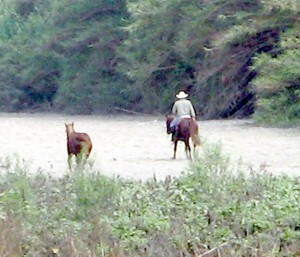 When it’s not raining walkers and horseback riders can be seen in these areas of the river. 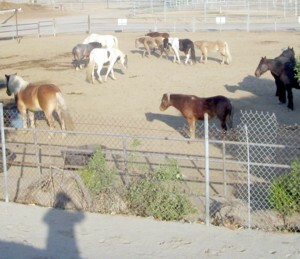 Horse stables are a major feature to be seen along most of the trail. I no sooner pass the row of barnyards than I discover the reason for all the greenery. Where San Jose Creek comes out of the east and meets the San Gabriel I can see the natural glory of the areas past at the Thienes Ave. entrance to the trail. Nearby are two interpretive displays with pictures, in need of a little clean-up. One explains about the Tongva Indians who inhabited the area centuries ago and includes a scene of the Mission San Gabriel, painted in 1832. 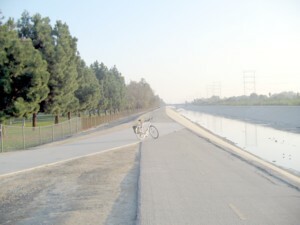 The other discusses respect for the river and the Emerald Necklace Park Network, a 17 mile loop that, when completed, will link 1500 acres of parks along the San Gabriel and Rio Hondo rivers. 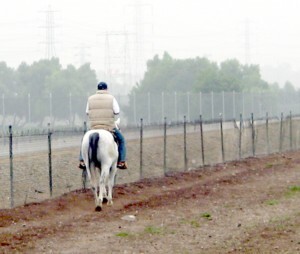 This will expand and improve upon existing cycling, hiking, and horseback riding trails in the Whittier Narrows and Bosque Del Rio Hondo region, from Irwindale and Peck Park, in the north, to Pico Rivera and Legg lake in the south. There is a bit of controversy related to current efforts. 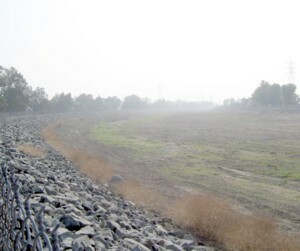 It revolves around a proposal for the new San Gabriel River Discovery Center being planned for a portion of the Whittier Narrows and shows that not all environmental activists are on the same page on every little issue. 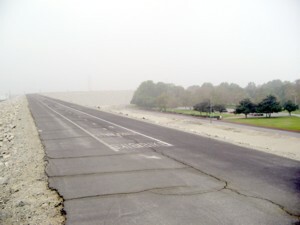 But the latest in their disagreement with the efforts of the Angeles Chapter of the Sierra Club, can be found on the website of Friends of the Whittier Narrows Natural Area. Up to this point everything was just ducky on my ride and I was about to leave the major natural portions of the river behind, heading further into this middle stretch of the journey. There is nothing like a 10 minute bike ride at 4am, on a cool Monday morning, to clear the cobwebs! A surprising starting point it is, too! At the point where Highway 39 (San Gabriel Canyon Rd.) hangs a right, near the Ranger Station, to begin its journey into the mountains, there is a parking lot on the north side of the road near a new entrance to the bike trail. Open 7 days a week, from 7am to 10pm, there are 19 spaces, and 2 more for the disabled, but not a porta-potty in sight! 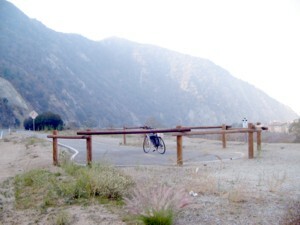 At 840am, after eating an apple, banana, and cliff bar for breakfast, I headed east on the connector a quarter mile, and discovered the 3/4 mile extension of the trail into the entrance to San Gabriel Canyon where a couple of new housing developments have been built on the other side of the river. 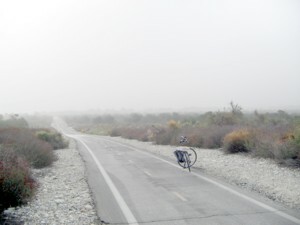 At 9am, on this foggy, cloudy and cool morning, I finally head out and begin to travel south by re-acquainting myself with the easy rollies that make the northern trail so much fun to ride as you pass the rock quarries. I stop, get off the bike, walk into the center of the river and take one last look at the mountains. 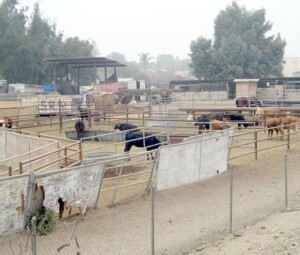 After 4 miles I pass something new: A parking lot and restrooms at the Santa Fe Equestrian Staging Area, located at what is the northern end of the Whittier Narrows Recreation Area. It has picnic tables and bike racks. 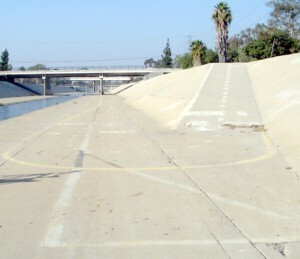 Soon I pass the 1st of several freeways along the route. 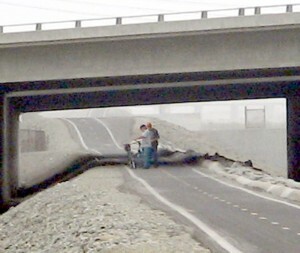 Watch out for this first underpass, it's a Doozy! I'd forgotten how the trail winds its way as it travels under the freeway. Normally one can see for miles, to the south, as you travel this area of the trail, but it stays cloudy for most of the day. After 6 miles I enter the northern end of the recreation area and am surrounded by Mother Nature in all her desert glory. I have begun to see more cyclists now that it is 930am. Look around as you ride. Stop, get off your bike, and explore your surroundings a little, especially in the natural areas. Man encased these mighty rivers in concrete, not just to try to tame their violent flooding tendencies, but because he was putting down roots in suburbs further and further from the coast. Did he win the battle completely? That is a question you will have to decide for yourself as you explore the rivers and in the case of the San Gabriel, well...let's get back on the bike, and travel on. Follow the signs and you can't get lost as the trail goes along a street for a short distance. After 7 miles I find myself passing a ticket booth as the trail takes you above and around the Santa Fe Dam Recreation Area, in Irwindale. This is a huge property with boating and fishing opportunities, as well as the access to the various hiking, horseback and cycling trails. Many people forget that years ago this "Little Town that Tried" failed to lure the LA Raiders into remaining in SoCal with the notion of building a stadium in some of the undeveloped portions of this area. On a clear day you can see the majesty of the San Gabriel Mountains to the north. Along this stretch I encountered a young Hispanic cyclist taking his second trip along the trail and I gave him a card, encouraging him to share his thoughts on his adventures. At almost the 9 mile mark I head left, at the signed turn off, and down to Arrow Highway, where the trail heads a short distance east to a crosswalk. After crossing the street I return to the trail along the river and encounter a work crew putting our tax dollars to work. They were putting the finishing touches on a decorative stop at this Entrance/Exit, adding benches, and bike racks, along with new paving, thus fixing this stretch of the trail up real nice. 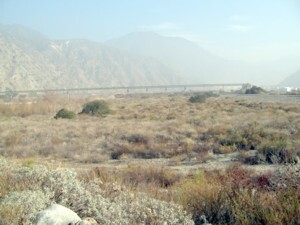 Now the trail is on the west side of the river and the rollies have returned as I leave Irwindale behind. A long day of is still ahead of me as I stop many times along the way. Even if I wasn't doing so for this story I'd find myself stopping anyway. At Temescal Canyon Rd,, and Pacific Coast Highway, a Bike Path on the beach begins its journey south. While this particular trip is only going as far as Santa Monica Pier, the trail actually goes much further, all the way down the coast, except for a small detour, to Torrance County Beach. It is here that this journey enters the home stretch ( Part 1 is here, for late comers. ). At Will Rogers there are benches to rest on, and bathrooms. Riding the trail can still be hairy at times, but this time it was not. If you have not been there in a few years then the place will surprise you. After the 4 miles of Bike Trail I find the Bay St. exit to Ocean Blvd. on my left, not far beyond the Pier. Roll down Barrington, and Ohio, to the park, in the late afternoon, or near-dark evening coolness with the exhiliration one feels doing a victory lap at the Olympics Marathon. Once in the parking lot... go ahead and let out a yell of release, and pride of accomplishment. As readers of this series know I left books along the way, for people to find, as part of my being a member of BookCrossing. I had 1 more stop before heading home. The Velocity Cafe, a nice little place with an Official BookCrossing Zone. The place turned out to be closed, but I took a picture, and plan to return Friday, with the 3 books I want to leave.